Why all this talk of gender roles and the manly arts? Because the Wraith may just be the manliest handgun I’ve ever used. Browning’s original .45 ACP 1911 is a mule of a pistol. But the Wraith kicks everything up a notch. Tale of the tape? Barrel length is 5.75", overall length is 9.5" while the weight is 42.3 oz. Slightly above GI 1911 specs, but you’re not going to mistake its parentage for anything else. Left: A tall front sight and a threaded muzzle indicate the Wraith is “suppressor friendly.” Second Left: Custom touches: Memory bump on the grip safety, extended beavertail, skeletonized hammer. Right: Although the 10mm may not have taken the world by storm as anticipated back in the Bren Ten days, it’s making a comeback in the Browning platform. Far Right: Will is a fan of the Wraith’s “grippy” G10 panels. The funneled magwell makes speedy reloads a snap. In addition to all the cool-guy stuff we discussed earlier, the Wraith’s match-grade barrel is threaded 9/16x24. I would have preferred the standard .578x28 used by most .45 ACP pistols, but nobody asked me. Alas, suppressor manufacturers will all make pistons in this thread pitch for their .45 ACP cans. Pick up a threaded barrel for your favorite .40 S&W polymer-framed handgun and you can run the same can on both guns. Accuracy and chrono performance with loads tested definitely lived up to the 10’s considerable reputation. Buffalo Bore’s 180 JHP (1,433 fps, 1.5" for the best 4 of 5 shots at 15 meters), 200-gr. FMJ (1,254, 2.25") and 220-gr. HC (1,239, 1.4") were showstoppers. But SIG’s 180-gr., V-Crown JHP (1,288, 1.4") also delivered the goods. The manual of arms will already be familiar to anyone currently clutching this sacred tome. However, everything about the gun is preternaturally smooth and inoffensive. The slide reliably locks back on the last round fired, and magazine changes are fluid, seamless and cool. 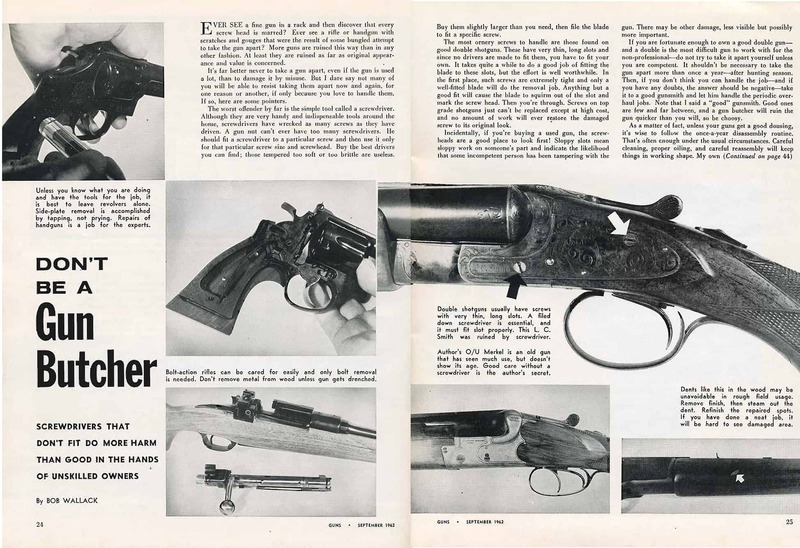 The frame and slide of the gun are made from good old-fashioned American stainless steel, so the gun is heavy but indestructible. 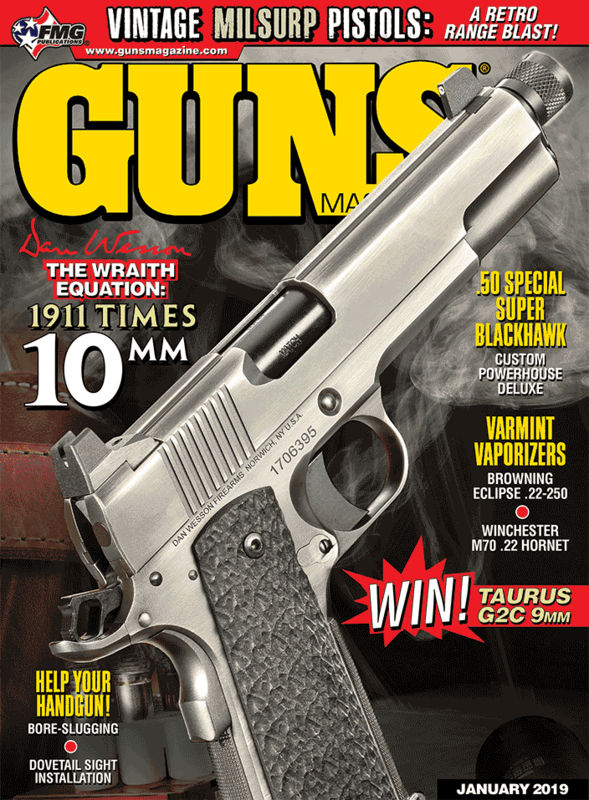 For a hunting tool or home defense arm the 10mm Wraith offers something truly fresh and new. While the .45 ACP is an undeniably manly cartridge, the 10mm Auto is all the more so.